On July 7, 2016, we officially opened our life-size Noah’s ark at the Ark Encounter to the public, and we have been welcoming thousands of guests from all around the world since! Join us as we look back on the last two years at the Ark Encounter and look forward to our future. 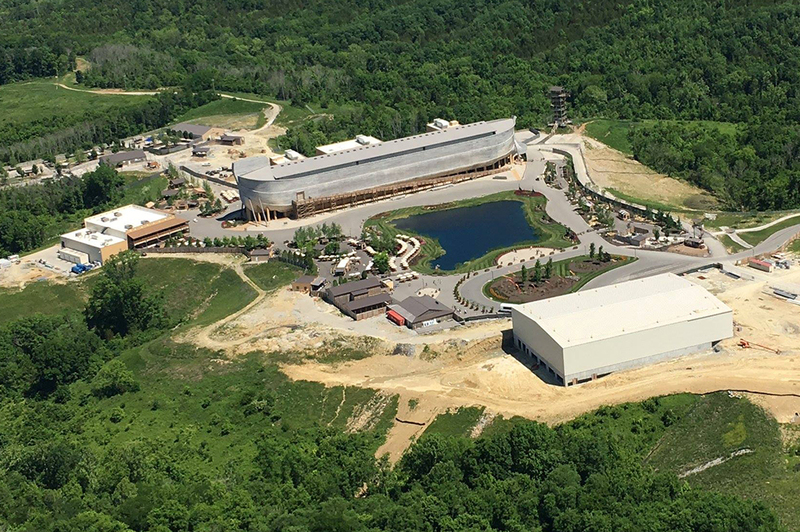 The Ark Encounter has seen many changes since July 7, 2016. The first noticeable addition was the ark’s ramp, which shows how Noah, his family, and the animals might have entered the door. The Ararat Ridge Zoo and petting zoo area, which is located behind the ark and is included with your admission, has added a variety of new animals over the past two years as well, including ostriches, reptiles, a porcupine, as well as goat, emu, and kangaroo babies, and many more! Check out this Facebook Live video from our CEO Ken Ham from 2016 when the ostriches first arrived at the Ark Encounter. 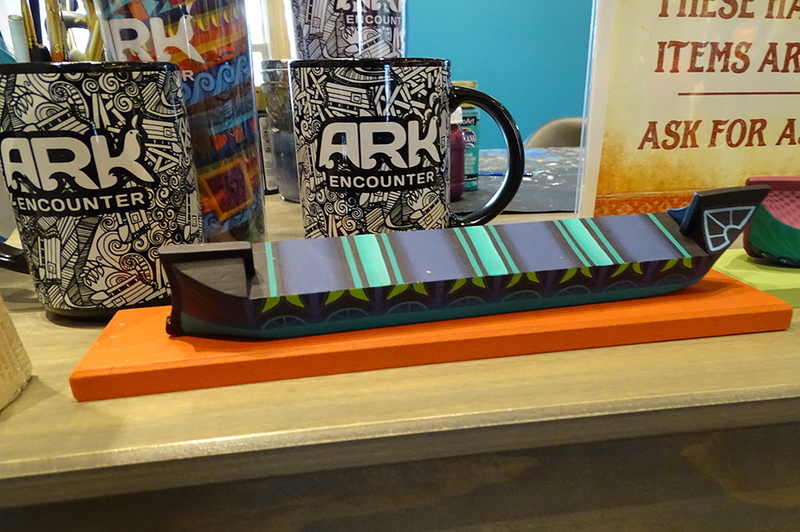 We’ve also added several new exhibits inside the ark. Our Why the Bible Is True exhibit follows the story of three college students seeking answers to questions about life and the truth of the Bible. 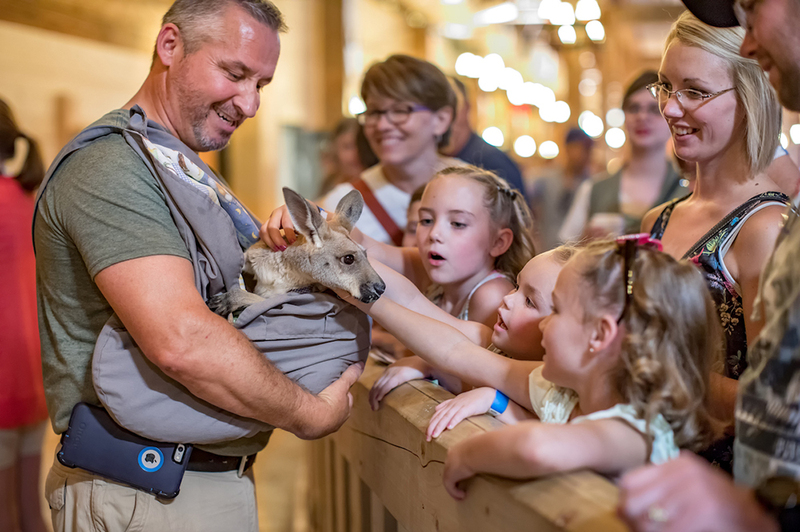 Last year, we began offering live animal encounters where you can also meet some of our animals from the Ararat Ridge Zoo in a special area on the second deck. 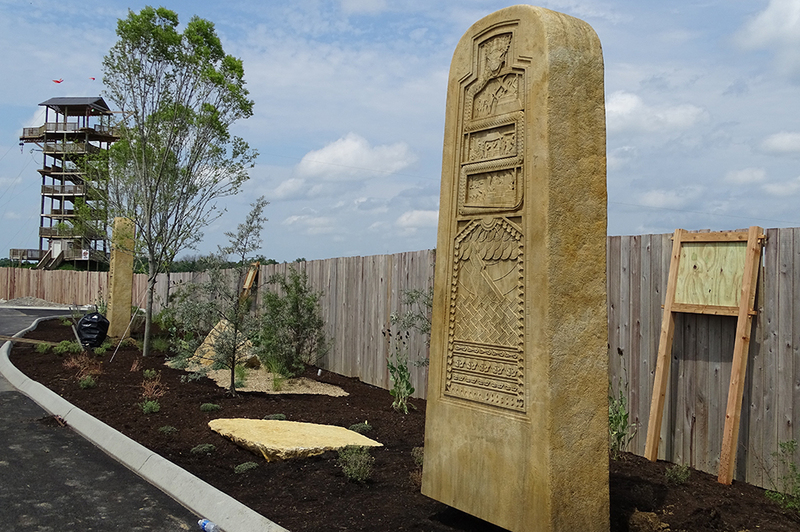 Last year, we opened the Village Market and Monument Walk on opposites sides of the lake leading up to the ark. The Village Market is home to several food kiosks and Oscar’s Store, where you can shop for fair trade products and unique items by Oscar Nava, the Rainbow Covenant’s artist. As you head toward the ark, you will enter the Monument Walk, which also includes live tropical bird exhibits. Here you will see a series of six steles, which are upright monument stones, sculpted and inscribed, often used in ancient cultures for significant purposes. Our steles provide you with a summary of Genesis chapters 1–6 as you prepare to enter the ark. While the stones use hieroglyphs to give the true history of the world, explanatory signs accompany each stele. 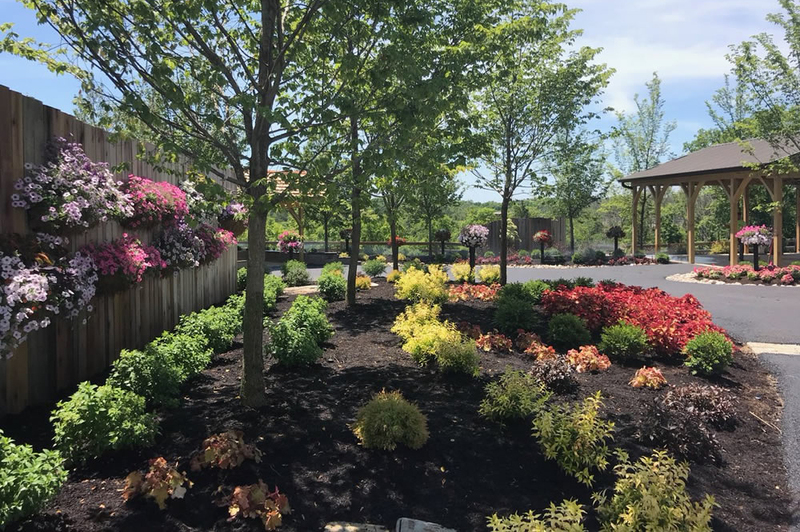 The most recent addition to the Ark Encounter is our new Rainbow Garden. 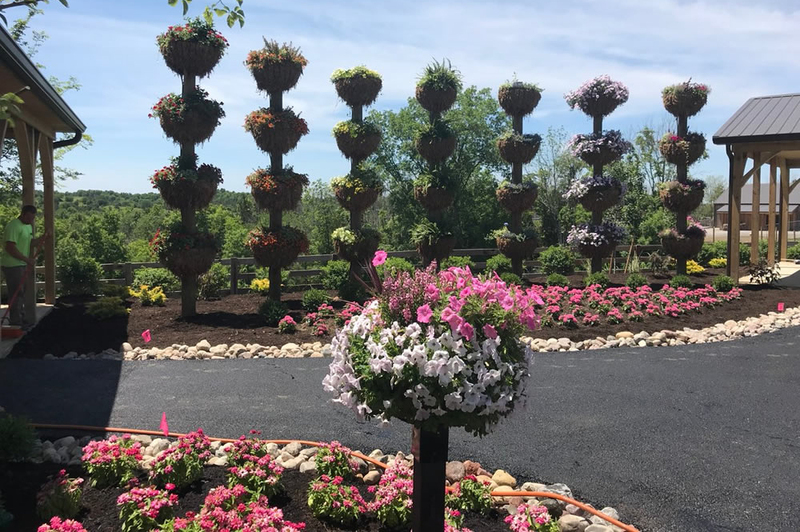 The Rainbow Garden, which is located between the ark and Ararat Ridge Zoo, is designed to remind people of the rainbow and God’s promise that he would never flood the earth again. 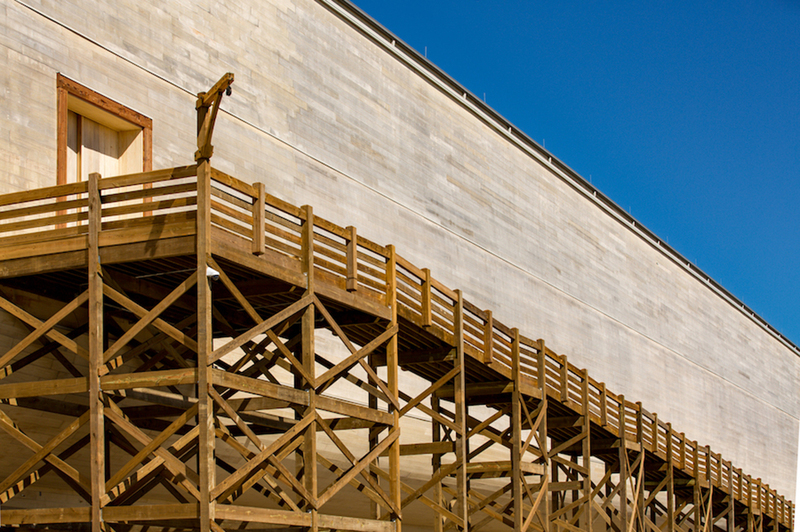 As we head into our third year of operation at the Ark Encounter, we have many exciting changes to look forward to! Later this year, we plan to open the Answers Center, which will be our 2,500-seat auditorium and multipurpose facility that will allow us to easily host conferences, concerts, daily speaking events, and family workshops near our life-size Noah’s ark. Our crews have been busy working on the Ararat Ridge Zoo expansion as well! This will allow us to add even more unique animals to the zoo, and it will give you the opportunity to learn more about biblical kinds and modern species. Learn more about the zoo expansion in this video. When you visit us at the Ark Encounter, don’t miss the opportunity to tour our sister attraction, the Creation Museum only 45 minutes away. Workers are currently updating the technology to turn the Special Effects Theater into a 4D experience. In addition to showing a startling 20-minute 3D film from the movie Genesis: Paradise Lost, this high-tech theater will also feature a powerful 20-minute movie—with many special effects—on Noah’s flood. The creative team is working on this film that will depict life before the flood, during the flood (on the ark), and after the global event. This new special effects show about Noah’s flood will come out later this year. Start planning your trip to be a part of our third year at the Ark Encounter today, and consider purchasing a combo ticket so you can visit the Creation Museum too! Share your favorite pictures with us on Facebook, Instagram, and Twitter using #arkencounter, and you might see your photo in a future blog!